Author: K. Williams, 1998. Paperback, 52 pages, size A6. ISBN 1 902517 01 6. This book is currently unavailable, however one of the tutorials available on this website, is based on this book, see here. This is a small popular book with many illustrations, inspiring quotes and amusing anecdotes. Each double page shows a neat and quick way of solving some simple problem. Suitable for any age from eight upwards. One of the tutorials available on this website, is based on this book, see here. Author: K. Williams, 2013. 113 pages. This simple guide from veteran math teacher Kenneth Williams will introduce you to twenty easy methods you can use to calculate in your head today. The methods are perfect for beginners and improvers. Each lesson takes only a few minutes to complete. And with the fun quizzes along the way, you will prove to yourself how easy it is to calculate in your head - without a calculator. What's more, you'll feel no mental strain or pain either. That's because Kenneth's methods are so natural, you'll wonder why you weren't taught this way before. Ideal for kids and adults alike, How To Really Calculate In Your Head will introduce you to the proven methods of the mental calculator. Enjoy these simple, fun, and wonderfully practical techniques today. And keep your calculator in its case. The methods are perfect for beginners and improvers. Each lesson takes only a few minutes to complete. And with the fun quizzes along the way, you will prove to yourself how easy it is to calculate in your head - without a calculator. Author: K. Williams, 2013. 180 pages. Algebra for the Terrified teaches you algebra in tiny bite-sized pieces. This hands-on guide walks you through the algebra landscape, from beginnings to binomials. Use this fun guide to teach yourself essential basic algebra or to help your child learn and enjoy algebra. This book doesn't just give you the rules of algebra, it lets you solve algebra problems right from the start. This practical approach lets you prove to yourself you can do this thing called algebra. Each chapter gives you many mini-lessons, so you pick up algebra in easy stages. You learn algebra as you go through the book. 6. Wait - There's More! “This book is awesome. Makes math easy to understand”---Melissa H.
A hot new and easy book about quick, fast, short,rapid mental mathematics for children in grade school, middle school, or senior high. This book is full of mental math methods that will help you get over math anxiety, and teach you to think of math differently. The math concepts you will learn are going to be incredible and thought provoking. Could you multiply 49*31, 78*62, or 63*57 in your head? Not yet? Well, you will be able to do them after finishing this book. This book will help you hone your sense of proportion and symmetry when it comes to numbers. Pattern recognition is a big part of developing a better math vision. Solving binomial expansions as well as more advanced equations with derivatives and conversions. This book does contain a variety of exercises to practice the skills being taught. Answers are also supplied. Don't let a single approach define your vedic math skills. Get a craftsman's toolbox and become a numbers craftsman. Great for Adults that need to brush up, nurses, people in the trades, technicians. Chock full of tips and easy arithmetic, ratios, fractions basic applied math and algebra. This release covers Algebra 1, General algebra, arithmetic, fractions, ratios, squaring numbers two digit multiplication, conversions, and more. It also brings to light amazing tricks, tips, secrets,and other applied number tricks for mathematics mastery. Vedic Maths is the world's fastest calculation system for complex mathematical problems. It is widely popular among academicians and students especially in India. The methods and techniques used in this system save precious time of students in examination and they get better marks in this subject. There are just 16 Sutras or formulas which solves all known mathematical problems in the branches of Arithmetic, Algebra, Geometry and Calculas. They are easy to understand, easy to apply and easy to remember. 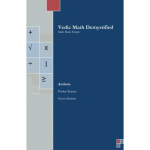 This E-book Learn And Teach Vedic Mathematics (prepared with the help of an expert) gives detailed information about Vedic Mathematics. It also teaches you about all the Maths shortcuts used in the ancient time with examples and demonstrations. The tutorial also explains about all the 16 Sutras or mathematical formulas and how to apply them in solving complex numerical problems. Using these 16 Sutras all sorts of mathematical calculations (i.e addition, subtraction, multiplication, division etc) can be done very easily without much effort and strain. Therefore it is of great help for students who are preparing for competitive and entrance examinations where Mathematics is one of the subjects. After going through this detailed tutorial, I am sure that you would be able to do all types of mathematical calculations on your fingertips. 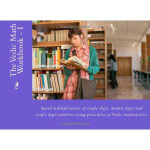 Get rid of your Maths phobia with Vedic Mathematics. You will start loving this subject. Even if you are in school or in college this ancient technique will make it much easier for you to do calculation and you may not need a calculator. In ancient times there were no calculators but still people could do complex calculation with the help of Vedic Mathematics. You can also learn this art through this E-book. 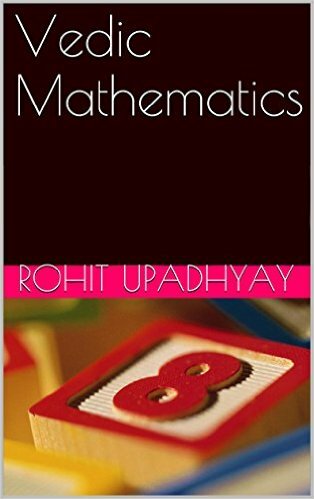 Book presents high speed method like inter-base conversion method, universal divisibility test etc , invented by author , in vedic mathematics. It also explains whole speed mathematics using zero. The purpose of this ebook is to provide about simple and easy to follow multiplication methods which can be practised for fast calculations. The step by step explanation and examples helps readers to learn effectively. The methods would be useful for the readers to improve mental calculation and helps to save time in calculations and improve performance. The speed calculation methods will be very useful in various competitive examinations to save time. For Maths Teachers: This book can be useful for the Math Teachers who can teach the methods provided in the book. This can be used as a guide for helping students to improve their mental calculation and in turn save time in calculations and improve academic performance. Find 78563 x 99999 =? Answer consists of two parts. Left Hand Side (LHS) and Right Hand Side (RHS). To get the final answer combine numbers in LHS (78562) and RHS (21437). Read this ebook to learn more such methods and improve your calculation speed! 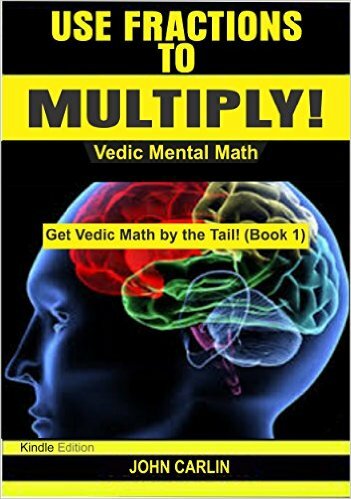 The Arithmetic of 5: Vedic Mental Math Secrets, Multiply Anything Ending in 5 is Seconds! The Arithmetic of 5: Vedic Mental Math Secrets, Multiply Anything Ending in 5 by Itself in Seconds! Vedic Mathematics can help you square anything ending in 5 quickly and easily in seconds. Learn the simple concept of “By one more.” that has applications that are incredibly useful, and powerful. Find two and three digit squares that end in 5 easily. Effortlessly do two and three digit squares in your head that end in 5 or that have the same first couple of digits, and have last digits that add up to 10, such as 421*429. Help your children and grand kids get better grades! Kids, show your parents multiplication power they don't possess. Impress your teaches with how agile you are with squaring numbers like 975, 675, 425, --- in your head! Learn shortcuts nobody else knows. A great way for kids to learn basic vedic mathematics sutras by using them, and learning how powerful they are, besides being fun and useful. The shortcuts involving 9, 11, 10, 5, and 1 are most useful ones out there. This book focuses strictly on the number 5, and how to easily manipulate it to get answers in seconds, while honing your skills for other math challenges. This book is a total score for the vedic math enthusiast. The book is full of tricks, tips,and amazing secrets to make you a better calculator. Great for adults, students, nurses, tradesmen, technicians, mechanics, and machinists that use simple math everyday. This book is a building block to use to build your math confidence, and skills. You will be producing amazing calculations involving five, that will simply blow people away. This is a great arithmetic refresher and reference. 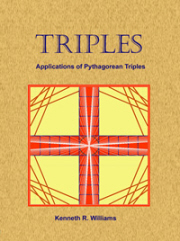 Adler William loves math tricks and tips, and has written about many of them in his prior books. This one takes aim at the younger student with one of the simplest numbers of all, the number five. The Arithmetic of 9: Vedic Mental Math Secrets, Learn How to Multiply anything by 9, and 99! Vedic Mathematics can help you find powers of Nine and Multiples of nine quickly and easily in seconds. Learn simple concepts that have applications beyond parlor tricks. Find the third , forth, or fifth power of nine at will easily. Multiply anything by 18, 27, or 45 in seconds. Effortlessly do two and three digit calculations in your head using 9, 99, 45, 90, and 999. A great way for kids to learn basic vedic mathematics sutras by using them, and learn how powerful it is, besides being fun. The shortcuts involving 9, 11, 10, 5, and 1 are most useful. This book involves strictly the number 9, and how to easily manipulate it to get answers in seconds, while honing your skills for other math challenges. 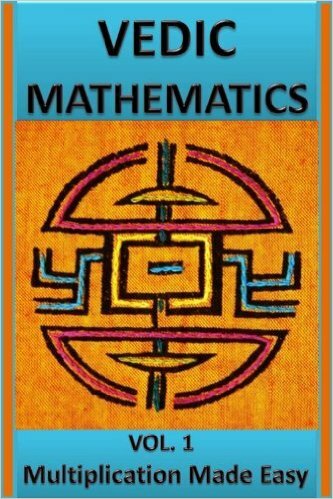 On a benefit basis this book is a total score for the vedic math enthusiast. The book is full of tricks, tips,and amazing secrets to make you a better calculator. Great for adults, students, nurses, tradesmen, technicians, mechanics, and machinists that use simple math everyday. This book is a great block to use to build your math confidence, and skills. You will be producing amazing calculations involving nine, that will simply blow people away . Adler William loves math tricks and tips, and has written about many of them in his prior books. This one takes aim at the younger student with one of the simplest numbers of all, the number nine. The Arithmetic of 11: Vedic Mental Math Secrets, Multiply Anything by 11, 22, 33, ... 111 in Seconds! The Arithmetic of 11: Vedic Mental Math Secrets, Learn How to Multiply anything by 11, 22, 33, ...111 in Seconds! Vedic Mathematics can help you find the product of 11 and Multiples of 11 quickly and easily in seconds! Learn simple concepts that have powerful and useful applications. Effortlessly do two and three digit calculations in your head involving multiplying by 11,22, 33 easily and quickly without pen , pencil, or calculator. Being able to do and visualize these processes will train your mind for studying STEM subjects, and other subjects that involve linear processes. Help your children and grand children get better grades! Kids, show your parents multiplication power they don't possess! Impress your teaches with how agile you are with numbers. Start out by learning the simplest methods involving one of the simpler numbers, the number 11. Learn shortcuts nobody else knows. Find the cube of 11, multiply 22*45 in your head, compute 33*67 in seconds! A great way for kids to learn basic vedic mathematics sutras by using them, and learning how powerful they are. Guaranteed fun along the way! The shortcuts involving 9, 11, 10, 5, and 1 are most useful. This book involves strictly the number 11, and how to easily manipulate it to get answers in seconds, while honing your skills for other math challenges. This book is a total score for the vedic math enthusiast. The book is full of tricks, tips,and amazing secrets to make you a better calculator. Great for adults, students, nurses, tradesmen, technicians, mechanics, and machinists that use simple math everyday. This book is a great block to use to build your math confidence, and skills. You will be producing amazing calculations involving eleven, that will simply blow people away. Adler William loves math tricks and tips, and has written about many of them in his prior books. This one takes aim at the younger student with one of the simplest numbers of all, the number eleven. It's all about patterns. Mathematics is applied in the proportions of gears within a simple clock. Many of the devices from a bicycle to a missile launch apply principles like those behind this book. The book Use Fractions to Multiply! will not turn you into one of those amazing savants who perform incredible math stunts before an astounded audience. It will, however, take you deeper into the mathematical wonderland than the topical presentations you normally see in books written by those who solve complex problems without even needing to understand the process. This little book will make you better at fractions, math, and algebra. Mental math is largely about pattern recognition. This book will help you recognize patterns you never noticed before. When you learn them, you will be well on the way toward huge strides in improved performance. The properties of specific numbers are significant, even beyond the ratios and proportions involved in this book. This book is about two digit and three digit multiplication. Anything that results in up to six digits as a product is included. So this book will also include methods for multiplying mixed digit numbers. How to use these techniques for doing speed math in ways that will motivate your children and grandchildren to learn as well. Full of tips, tricks, shortcuts for faster mental math, superior algebra mastery, and easy rapid math tricks. Beginning with problems as simple as 9 times 11, this book uses the basic concepts of pattern recognition and proportional relationships to teach you to solve simple math problems. Then, it progresses smoothly forward to more complex problems, including multiplying three digit numbers like 123 times 324. By breaking large numbers into fractions, the problems are solved progressively from left to right. Can you multiply 8642 times 82 quickly, and in your head? You'll be able to do it after you work your way through this book. Vedic Maths can make you a Mental Mathematics genius. Compliments Algebra 1, and all Applied Mathematics! Simple concepts based on mental mathematics and vedic mathematics can help you become a mental math champion. Anything considered to be a two digit number has three components you can put together for a speed mathematics answer. Help your children and grand children get better grades! Score better on the SATs and ACTs, get better grades. 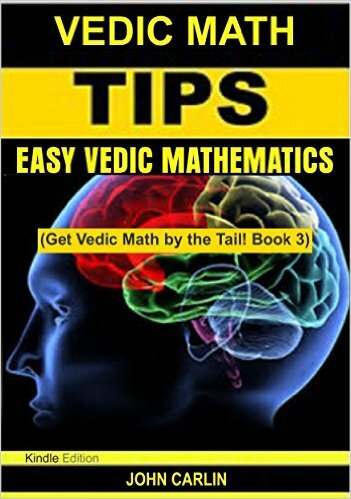 The vedic math and mental mathematics concepts you will learn you may not find anywhere else. Did you know you can look at two and three digit numbers as fractions and get quick answers? Did you know that numbers like 39*21 and 98*82 have cross products that don't need to be calculated? Did you know the cross product of a number like 34*92 is 6*(3+4)=42? or that 61*61 is as easy to figure as 16*16? Contains enough review so that you can read the book individually. The series does not have to be done in sequence! On a cost benefit basis this book is a total win for the vedic math enthusiast. The book is full of tricks, tips,and amazing secrets to make you a better calculator and will make mathematics easy. Great for adults, students, nurses, tradesmen, technicians, mechanics, and machinists that do simple math everyday. Great algebra refresher and reference. John Carlin has tutored students in vedic math for years. His kids used to call him (amongst other things) “Mr. Vedic Math.” John has his own website dedicated to Vedic Mathematics it is www.binomialblvd.com. The author graduated from the U.S. Merchant Marine Academy, and has an MBA from the University of Minnesota. Would you like to improve your SAT scores, or ACT scores? Vedic Math and Mental Mathematics can help you do it! This book can help the math scores dramatically. 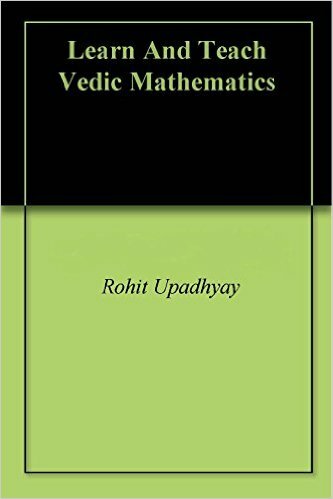 This book is graduate school for Vedic math, Mental Mathematics, and Mental Math. Compliments Algebra 1, and all Applied Mathematics! The book contains five in depth sections with step by step instructions for mastering vedic mathematics. Share it with your children! Learn about squaring two digits numbers in two steps. Mental math is so simple and easy to learn. The book is full of tricks, tips,and amazing secrets to make you a better calculator and will make mathematics easy. Great for adults, students, nurses, tradesmen, technicians, mechanics, and machinists that do simple math everyday. Use the power of fractions to destroy mental math calculations that at first appear daunting. This book act as short guide for those who are going to appear in various competitive exams as book contains basic ideas and technique how to solve all type of quantitative and numerical question in less time. This book also contains tips for easy calculation which is very important to solve Data interpretation question easily with time management. This book contain total 8 chapters which covers all techniques with detailed step by step example to solve questions based on time and work, boats, trains, speed, permutation, probability, combinations, syllogism, simple and compound interest, mixture, profit and loss, etc. This book also covers base method of multiplication, addition. Finding of square root and cube root easy formula. This book also contains Vedic Maths technique to solve question. 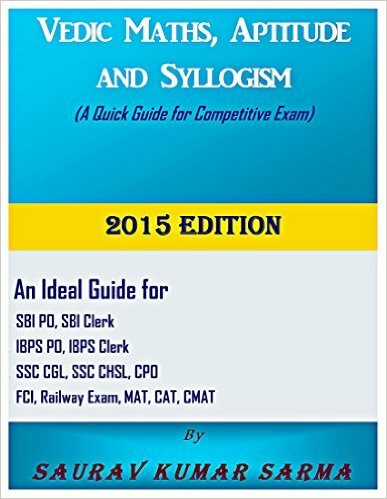 This is a strongly recommended book for Bank PO exam, Railway exam, MBA exam, SSC exam and other competitive exam also. This book does not include practice set because practice set is easily available in market. But most book lack of the basic technique and idea about how to approach the question to solve. That’s why I have prepared this eBook from what I learn when I am preparing for IBPS, SBI and SSC exam. Hope this eBook will be the stair to success for all aspirant of competitive exam. Vedic Mathematics is a system of reasoning and mathematical working based on ancient Indian teachings called Veda. It is fast, efficient and easy to learn and use. Vedic Mathematics is an ancient technique, which simplifies multiplication, divisibility, complex numbers, squaring, cubing, square and cube roots. Even recurring decimals and auxiliary fractions can be handled by Vedic mathematics. Vedic Mathematics forms part of Jyotish Shastra which is one of the six parts of Vedas. The Jyotish Shastra or Astronomy is made up of three parts called Skandas. A Skanda means the big branch of a tree shooting out of the trunk. The subject was revived largely due to the efforts of Jagadguru Swami Bharathikrishna Tirthaji of Govardhan Peeth, Puri Jaganath (1884-1960). Having researched the subject for 40 years, even his efforts would have gone in vain but for the enterprise of some disciples who took down notes during his last days. The basis of Vedic mathematics, are the 16 sutras, which attribute a set of qualities to a number or a group of numbers. The ancient Hindu scientists (Rishis) of Bharat in 16 Sutras (Phrases) and 120 words laid down simple steps for solving all mathematical problems. How fast you can solve a problem is very important. There is a race against time in all the competitions. Only those people having fast calculation ability will be able to win the race. Time saved can be used to solve more problems or used for difficult problems. Given the initial training in modern maths in today's schools, students will be able to comprehend the logic of Vedic Mathematics after they have reached the 8th standard. It will be of interest to everyone but more so to younger students keen to make their mark in competitive entrance exams. India's past could well help them make it in today's world. It is amazing how with the help of 16 Sutras and 16 sub-sutras, the Vedic seers were able to mentally calculate complex mathematical problems. 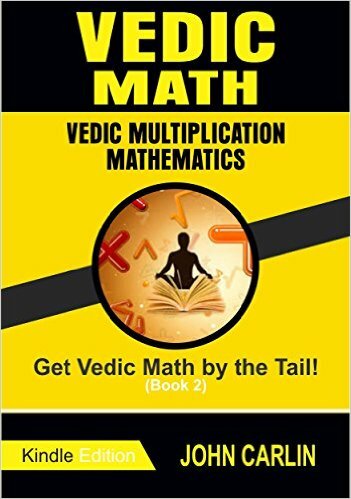 This E-book "Vedic Mathematics" will explain in brief all the 16 Sutras with practical examples so that you can get rid of your maths phobia and become an expert in this subject. Vedic Mathematics: Multiplication Made Easy: Learn to Multiply 25 times faster in a day!! Some Basic terms and laws. How to multiply numbers near to the base? How to multiply numbers which are not near the base? How to find the square of a number near to the base? How to find the square of any numbers ending with '5'? How to multiply two numbers when the sum of their last digits (unit place) is 10 and remaining digits are same? How to multiply any numbers with a multiplier having '9' as all digits? The method applicable in all the cases of multiplication. Upcoming books on Vedic Mathematics. Math phobia is a major deterrent in moving ahead in your career and life. This book makes the multiplication aspect of maths, easy and exciting. Complicated multiplication problems seem like child's play after going through this book. # You can multiply, 8653922 x 9999999 in 10 secs. # You can multiply, 999 x 998 in less than 10 secs. # You can calculate square of any number in 10 secs. # You can multiply 25 times faster. Mathematics is not hard at all. Just practice the techniques in this book and you will master multiplication in a day!